ASHEVILLE, North Carolina, August 7, 2013 (ENS) – Across the United States, 2012 was the warmest year on record, and globally, 2012 was among the 10 warmest years on record, according to the 2012 State of the Climate report issued Tuesday by the American Meteorological Society. The peer-reviewed report was compiled by 384 scientists from 52 countries, with scientists from the National Oceanic and Atmospheric Administration’s National Climatic Data Center in Asheville serving as lead editors. The report relies on data collected by environmental monitoring stations and instruments on land, sea, ice, and sky. Dozens of climate indicators were used to track and identify changes and overall trends to the global climate system. These indicators include greenhouse gas concentrations, temperature of the lower and upper atmosphere, cloud cover, sea surface temperature, sea-level rise, ocean salinity, sea ice extent and snow cover. Each indicator includes thousands of measurements from multiple independent datasets. “Many of the events that made 2012 such an interesting year are part of the long-term trends we see in a changing and varying climate — carbon levels are climbing, sea levels are rising, Arctic sea ice is melting, and our planet as a whole is becoming a warmer place,” said Acting NOAA Administrator and former astronaut Dr. Kathryn Sullivan. “This annual report is well-researched, well-respected, and well-used; it is a superb example of the timely, actionable climate information that people need from NOAA to help prepare for extremes in our ever-changing environment,” said Sullivan. Warm temperature trends continue near Earth’s surface, the report shows. Four major independent datasets show 2012 was among the 10 warmest years on record, ranking either eighth or ninth, depending upon the dataset used. Greenhouse gases continued to climb. In spring 2012, for the first time, the atmospheric CO2 concentration exceeded 400 parts per million at several Arctic observation sites. “These findings underscore how correct the President is when he calls for enforcement of the Clean Air Act to address carbon pollution,” said the senator. The State of the Climate report is published annually as a special supplement to the “Bulletin of the American Meteorological Society.” This year marks the 23rd edition of the report. The evidence shows that the Arctic continued to warm at about twice the rate of lower latitudes. Minimum Arctic sea ice extent in September and Northern Hemisphere snow cover extent in June each reached new record lows. Arctic sea ice minimum extent was the lowest of the satellite era. Measured at 1.32 million square miles on September 16, 2012, it was 18 percent lower than the previous record low extent of 1.61 million square miles that occurred in 2007 and 54 percent lower than the record high minimum ice extent of 2.90 million square miles that occurred in 1980. 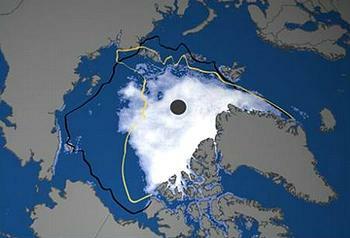 Sea ice concentration reached a new record low in mid-September 2012, the data shows. 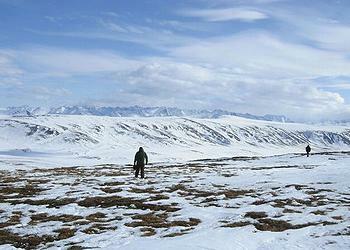 The temperature of permafrost, or permanently frozen land, reached record-high values in northernmost Alaska. 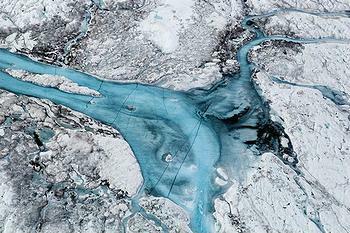 A new melt extent record occurred July 11–12 on the Greenland ice sheet when 97 percent of the ice sheet showed some form of melt, four times greater than the 1981–2010 average melt extent at this time of year. In Antarctica the maximum sea ice extent reached a record high of 7.51 million square miles on September 26. Sea surface temperatures increased, ocean heat content remained near record levels during 2012, and sea level reached a record high. Following sharp decreases in global sea level in the first half of 2011 that were linked to the effects of La Niña, sea levels rebounded to reach record highs in 2012. A weak La Niña dissipated during spring 2012 and, for the first time in several years, neither El Niño nor La Niña, which can dominate regional weather and climate conditions around the globe, prevailed for the majority of the year. Globally, sea level has been increasing at an average rate of 3.2 ± 0.4 millimeters per year over the past two decades. Continuing a trend that began in 2004, oceans were saltier than average in areas of high evaporation, including the central tropical North Pacific, and fresher than average in areas of high precipitation, including the north central Indian Ocean. This facts suggest that precipitation is increasing in already rainy areas and evaporation is intensifying in drier locations. Major greenhouse gas concentrations, including carbon dioxide, methane, and nitrous oxide, continued to rise during 2012. Following a slight decline in human-generated emissions associated with the global economic downturn, global CO2 emissions from fossil fuel combustion and cement production reached a record high in 2011, and a new record is estimated for 2012. Atmospheric CO2 concentrations increased by 2.1 ppm in 2012, reaching a global average of 392.6 ppm for the year. Increasing greenhouse gases and the ozone holes tend to cool the stratosphere while warming the planet near-surface atmospheric layers. The average lower stratospheric temperature, about six to 10 miles above the Earth’s surface, for 2012 was record to near-record cold. Meanwhile, in a separate report by NOAA’s National Ocean Service issued today, data shows that the nation’s 28 National Estuarine Research Reserves are experiencing the negative effects of human and climate-related stressors. The national study, “Climate Sensitivity of the National Estuarine Research Reserve System,” points to three East Coast reserves, Sapelo Island NERR in Georgia, ACE Basin NERR in South Carolina and Waquoit Bay NERR in Massachusetts, and the Tijuana River NERR on the California-Mexico border, as the most sensitive to climate change. “The National Estuarine Research Reserves are uniquely positioned across the U.S. to assess ongoing climate change in our nation’s estuaries which is the degree to which the natural resources and the local communities who depend on them are affected by changing climate conditions,” said Dr. Dwight Trueblood, a co-author and NOAA program manager for the study. Reserve ecological resilience was examined and the key underlying estuarine stressors were found to be toxic pollutants, storm impacts, invasive species, habitat fragmentation, sedimentation and shoreline erosion. The most frequently identified factors contributing to these stressors included residential development, land use, population growth, wastewater treatment and sea level rise. The evidence shows that high social sensitivity to climate change occurs where there is higher employment within natural resource-dependent industries, lower per capita income and median home values, higher percentages of minority populations, and a higher percentage of people lacking a high school education.